Surprise Vow Renewal at Cherokee Mountain Cabins, Topton, NC. Written by Tera Shanley, an author of a historic western romance, paranormal romance, and apocalyptic (zombie) romance. The genre doesn't matter quite as much to her as the love story, which is evident in her post here. "On June 6, 2016, Anthony planned an amazing day for our 10 year anniversary, down to buying me this dress, and sneaking my favorite pair of boots all the way from Texas to North Carolina. He told me he wanted to take new author pictures of me for my professional sites, so he took me down the road from our cabin and a couple of photographers were down there taking landscape photos. Anthony asked them to take a picture of us, and they agreed, much to my delight (we usually just take selfies for couple pictures). I was just so happy that she was willing to take a picture and email it to us later. 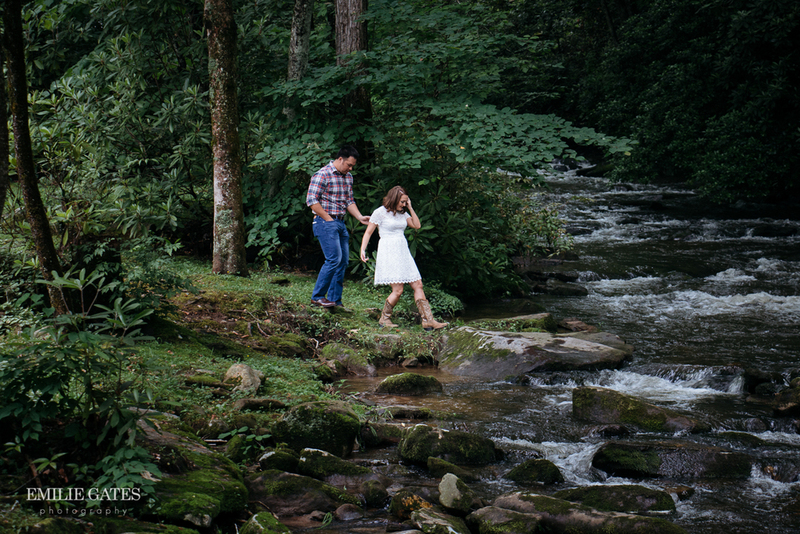 She pointed to a rock out in the river that runs by our cabin for our couple shot, and when we made our way to it, Anthony dropped down to one knee and broke my heart wide open in the best way. I could not stop crying. This was the moment I'd dreamed about as a girl, and thought I would never, ever get. He gave me a beautiful wedding set of rings that he'd picked out himself, had sized, and had engraved with a saying from one of my books that means the world to me. The landscape photographer was actually a wedding photographer Anthony had hired to capture our big day. I was a mess, but he wasn't done. 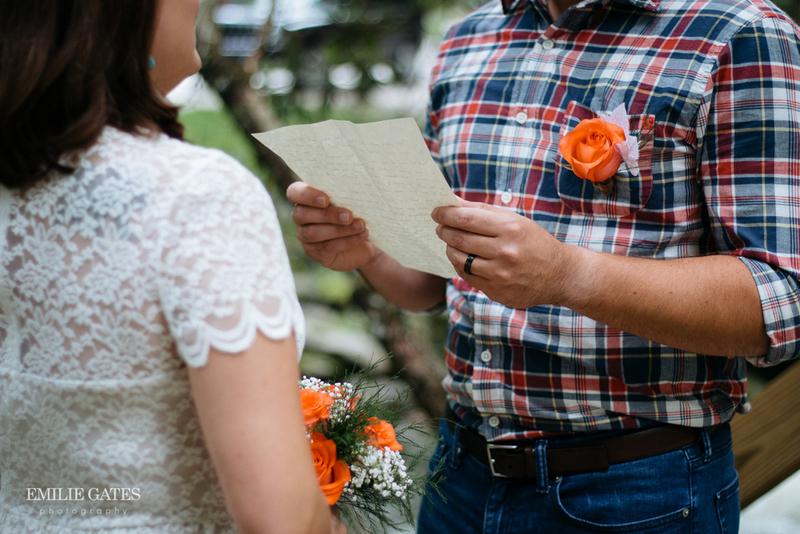 He'd hired someone to do a vow renewal, and everything was planned down to the smallest, beautiful detail. The cake, and flowers were even in the colors of our wedding 10 years ago. He already had our vows written for the ceremony, which took place on a small deck by the river. 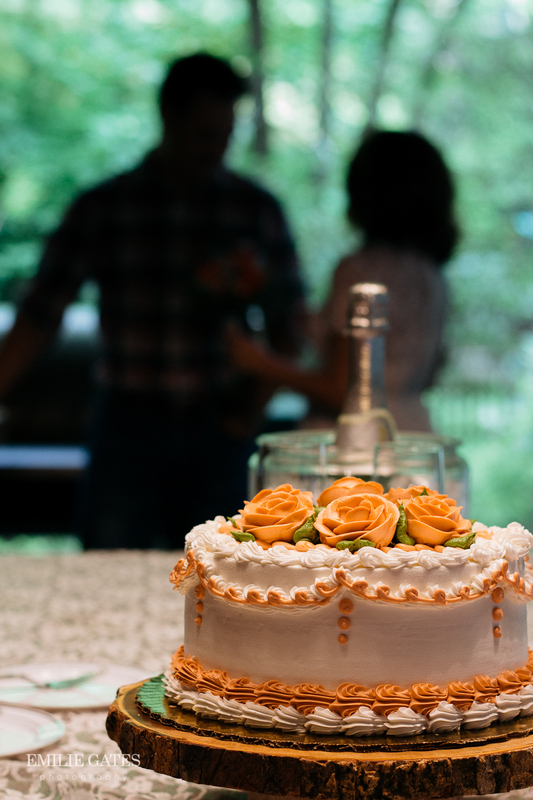 We cut cake, and drank champagne, and danced, and took pictures. And when we were done, the photographer went back to our cabin with us and captured more pictures there, where Anthony had hired a personal chef to cook us an amazing meal. A huge thanks to Emilie Gates Photography, LLC for capturing these precious moments for us!!!" <3"